This book has developed out of the experiences and storytellings happened at The Temenos Effect Gathering, Bengaluru, India. We are very grateful to the facilitators and participants for the insightful engagements and dialogues. 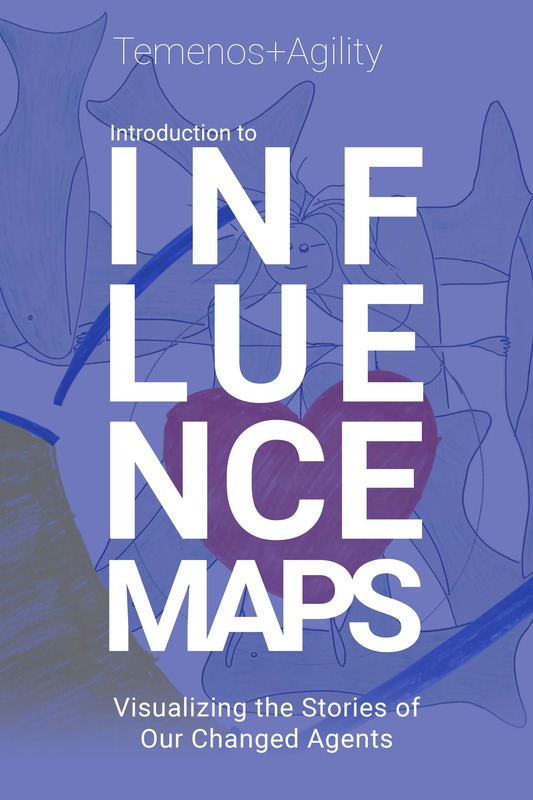 Gratitude to our earliest collaborators and pioneers in Influence Mapping - Sri Parthasarathy, Pascal Pinck, Andrea Chiou, Marian Willeke, Olaf Lewitz, Christine Neidhardt, Michael Sahota, Jim Sutton, Tanya Brown, and so many other dear friends and colleagues. We would like to include a special note thanks to Siraj Sirajuddin, Susan Gibson, Tathagat Varma, Silvana Wasitova, Padma Satyamurthy, Amitabh Mendiratta, Scott Downs, and Niranjan Nerlige for addressing the sessions of the gathering. All of your hard work and support helped us to write this book. Temenos+Agility is a boutique Organizational Development consulting firm dedicated to the research and application of deep Organizational and Personal Transformation approaches and tools. These methods, models and tools are rooted in Organizational Development, Systems Thinking, Jungian Psychology, Agile and other transformation processes. We, Temenos+Agility Team, hope that you enjoy reading the book. Thanks for showing interest in our work. Let's Get Social. Follow Us! © 2019 Temenos+Agility. All Rights Reserved.